Providing you the best range of industrial sealing machine with effective & timely delivery. 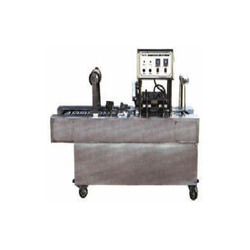 We have recognized ourselves as a prominent manufacturer and supplier of Industrial Sealing Machine. The machines we are offering are extensively used in varied industries like textile, chemicals, fertilizer an food industry for packaging purpose. These machines are capable of sealing material of varied sizes and thicknesses. Further, customers can avail these machines from us in different sizes, grades and technical specifications as per their needs. And, our clients can avail this range from us at leading market prices. Looking for Industrial Sealing Machine ?